Expired 3wk ago . Last validated 2mo ago . Used 8 times. Josefina This deal was verified and it is working as described. 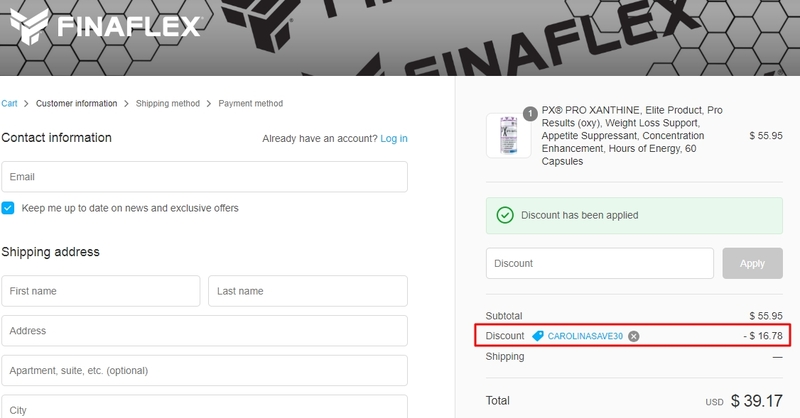 Select the items and enter the promo code <CAROLINASAVE30> at checkout to get 30% off your next order at FINAFLEX. Luis Enrique Rojas Moya I am validating that this deal works as described. 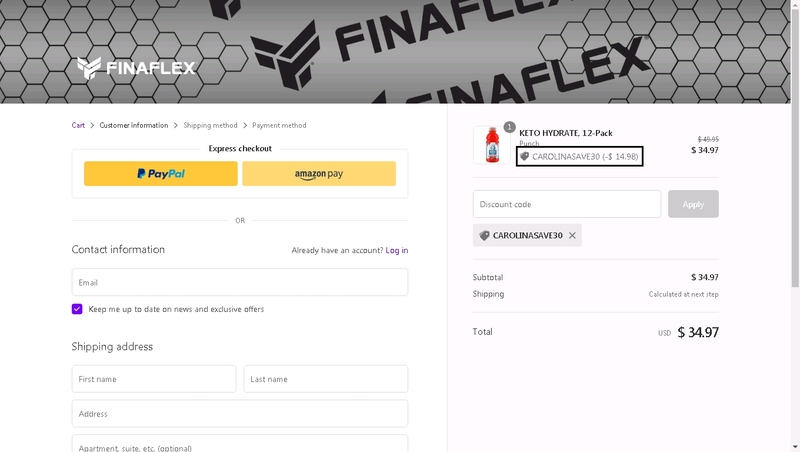 Just apply the coupon code and Get 30% Off Your Order at FINAFLEX (Site-Wide). 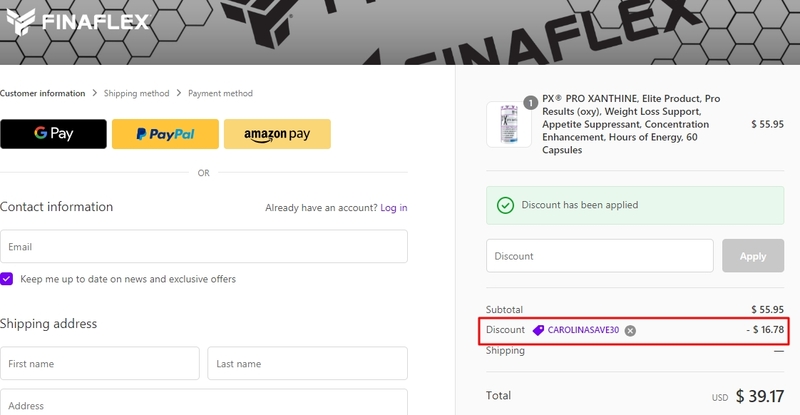 David This deal was verified and it is working as described. 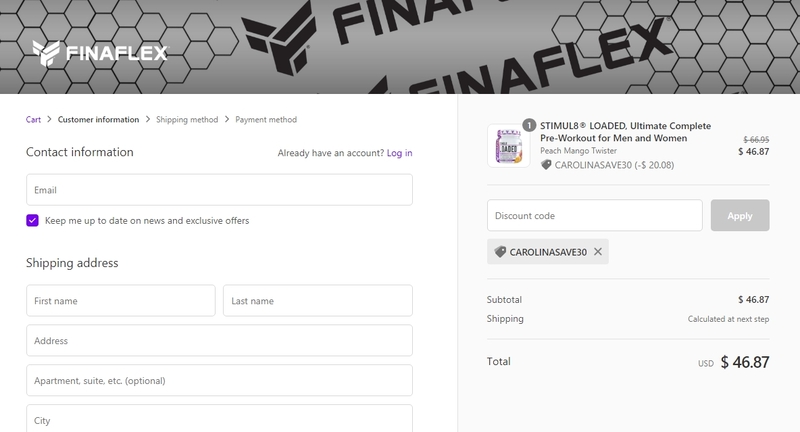 Select the items and enter the promo code <CAROLINASAVE30> at checkout to get 30% off your order at FINAFLEX. 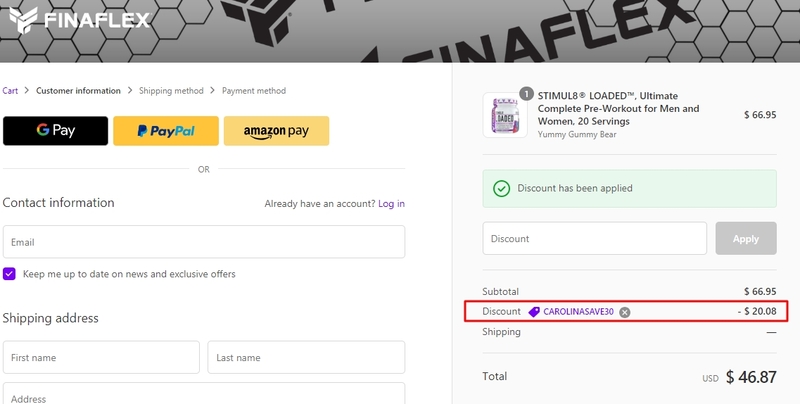 German This deal was verified and it is working as described. 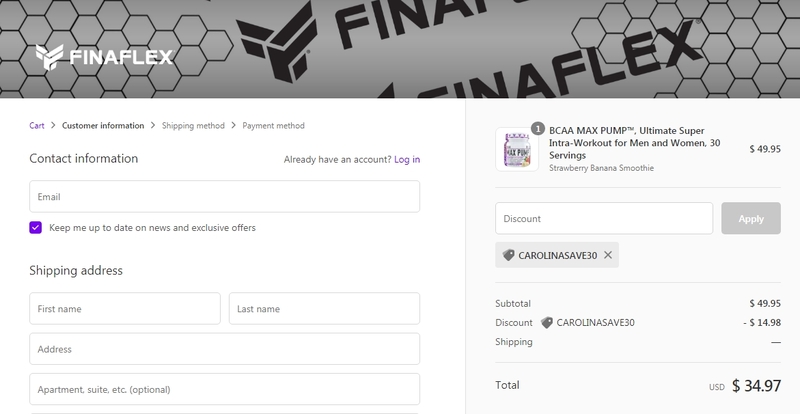 Select the items and enter the promo code <CAROLINASAVE30> at checkout to get 30% off your order at FINAFLEX.